Got a nice stretch of weather in venice with pretty good fishing overall. Day one was kinda tough as it started out rough and it was the day after a major front came through. It was cold in the morning for sure and it took the fish a little while to warm up. Picked up a nice wahoo in the morning on the troll and missed a couple more. Headed south a little bit and got two yf on the troll. Made a bunch of chum drifts but only got one more yf there on a jig. Headed east from there and got one more yf on the troll before we started chunking again. Quickly picked up three on the chunk and one tuna on an anteater jig. After that the current just went slack and the bite stopped. Tried for some more wahoo but no bites to be had. Day two started out much warmer and we headed off more to the south. Tried for wahoo again with no luck. Made a bait stop with no luck again and then blasted off to the far floaters. Finally got some bait but it was hard and we only had 7-8 baits. 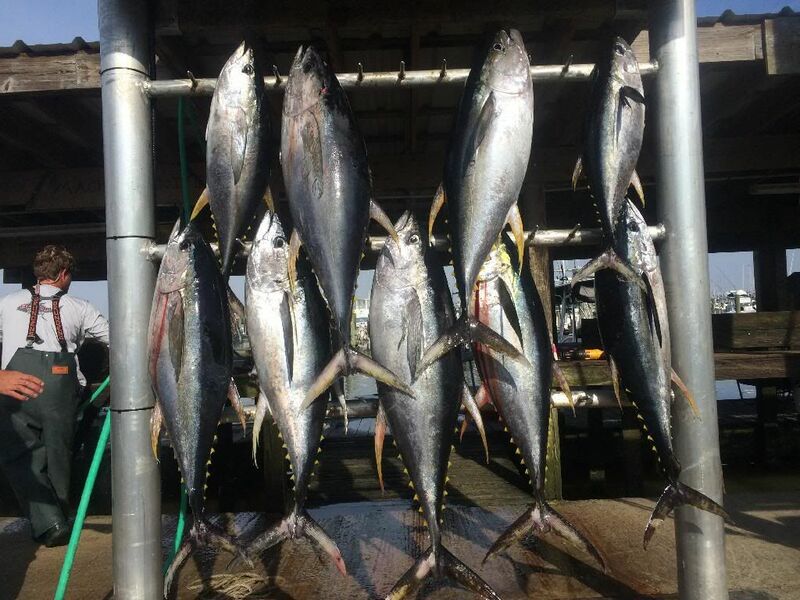 Couple got cut off by wahoo and we did get two 70 pounders on live bait. After that we settled into chunk and got them going and put 7 more in the box on chum with most of them being solid fish. Left out there with 9 yf and came back into wahoo fish. All we got there was another yf on the troll and a few blacks so we headed to the house. 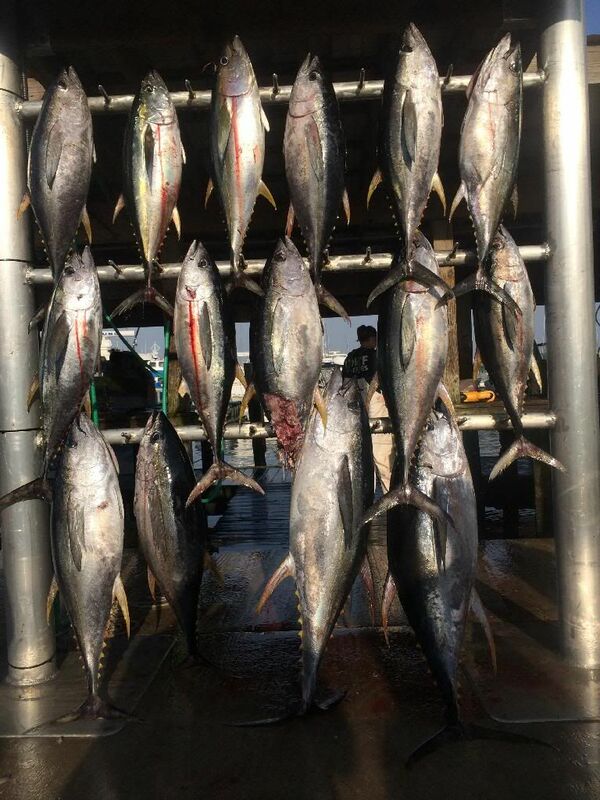 Day three I had my friend Paul on the boat and tuna was the choice again. We didnt even really try to fish inside as it was a pretty day so we just rolled south. Bait was tough to find so on to chunking we went and at the first spot we picked up 10 yf. 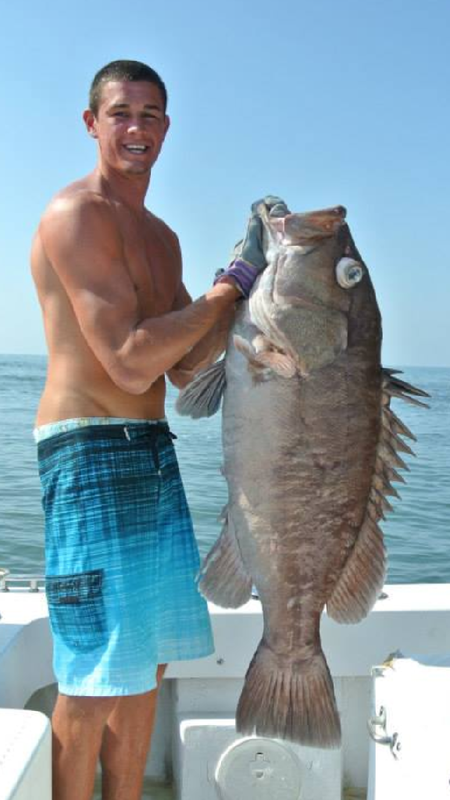 These fish were a little smaller then day before and were running 40-50 pounds. Moved a little east from there to maybe get a few bigger fish and it worked. We picked up three at that spot but two were over 70 pounds. At that point we headed north and we crossed a weedline paul though he saw some blacks jumping so out the poppers came and we tripled up on yf. Put two in the box and that was our limit so I carefully released the third one. 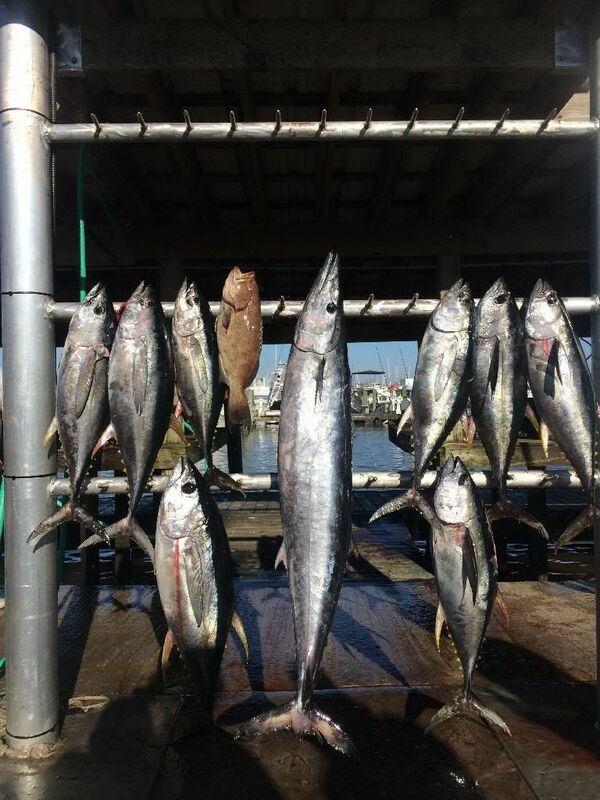 Tried for wahoo again with no love so headed in with 15 yf. Day 4 we headed straight out to the spot we ended up the day before and the good quality fish were still there. Got 1 on live bait at 82 pounds 7 more on chum and one on a waxwing to finsih up our limit. On the way in we tried for wahoo but only got one yf on the troll that we let go. Day 5 was the wettest I have ever been offshore We got rained on for 6 hours straight and there was no way out of it so we just fished through it. 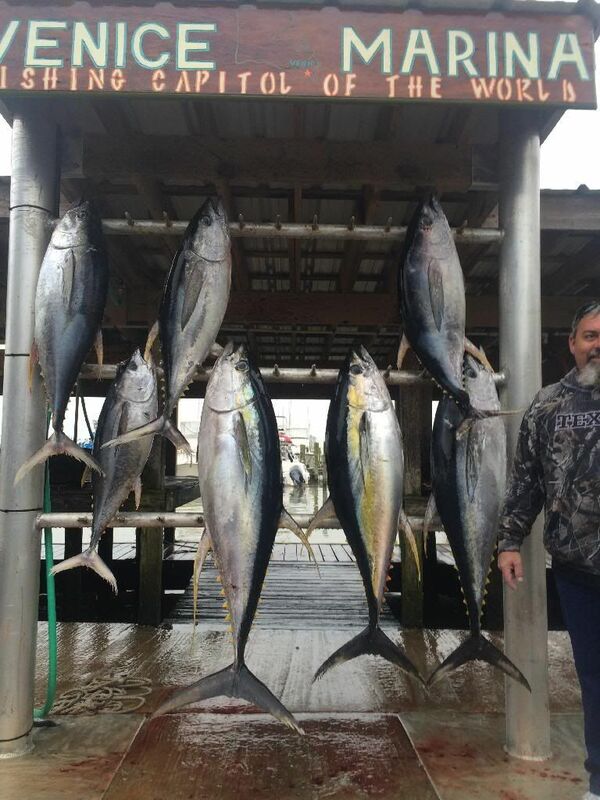 Caught 4 out south in the monsoon before we had enough of it. ANd went somewhere I had heard there was no rain and there wasnt for about 10 minutes and then it monsooned again so we just fished through it picked up three more before we gave up and went home. The last day I fished there was supposed to be a front coming through in the afternoon so we didnt roll to far out. Picked up two yf on the troll early and then went chunking and only got one 70 pounder on the chunk. 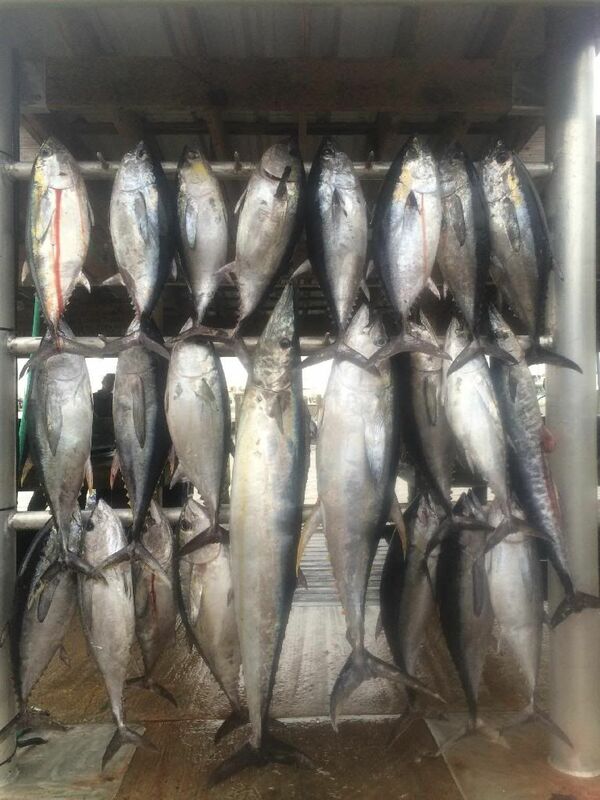 Came back into some close rigs and found a bunch of tuna eating minnows but they didnt want what we had. Went over to a set of rigs in close and started chunking and got the blackfins in a frenzy. 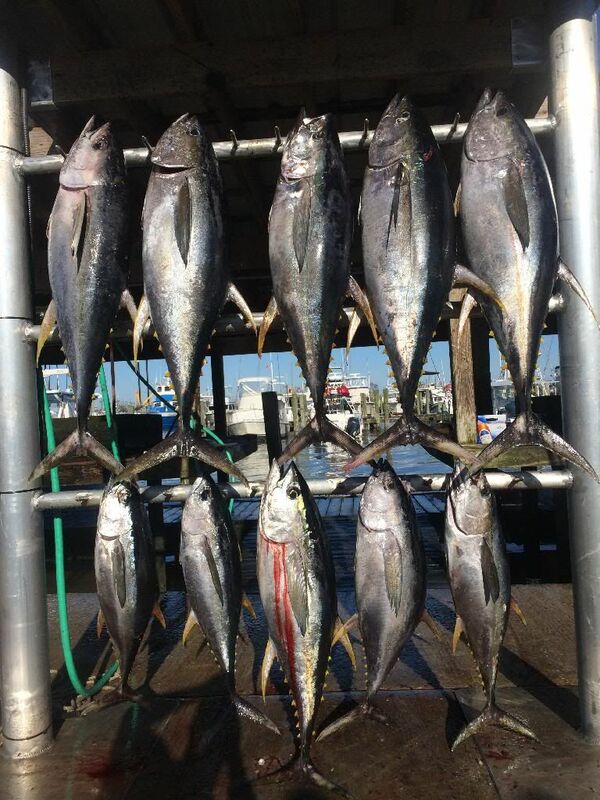 Made one drift and put 18 jumbo blacks in the boat before we decided we had enough tuna and put the wahoo baits out. Went 2-5 on them. Hit a bunch more rigs for hooters and never got another bite.